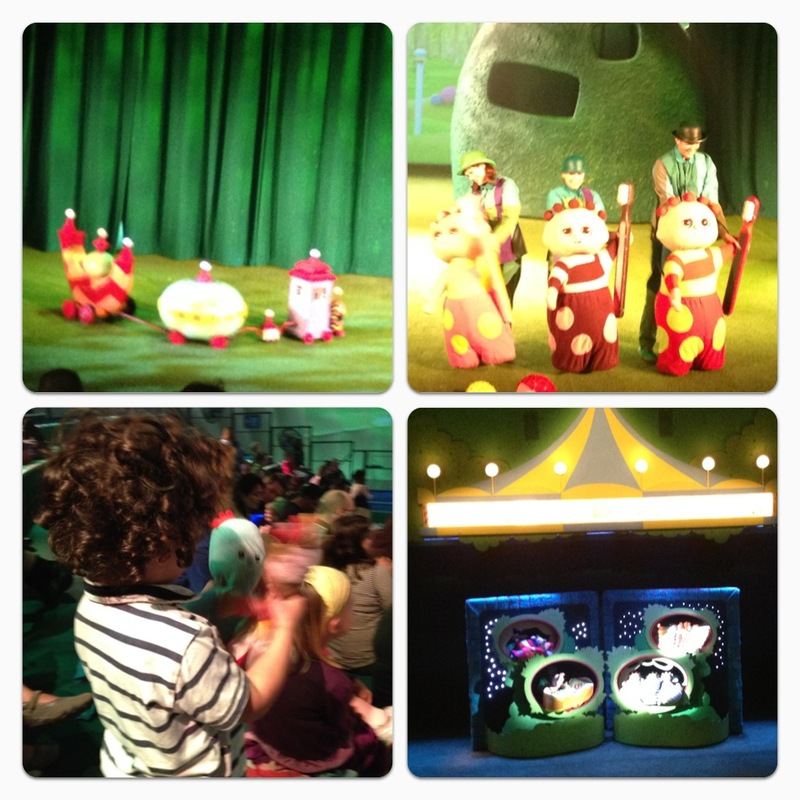 This afternoon we finally went to In the Night Garden Live and it was amazing, great production and very interactive. Little man and his cousin had a great time watching their favourite Cbeebies’ stars Igglepiggle, Upsy Daisy, Makka Pakka and friends live in a spectacular musical theatre experience: In the Night Garden Live. Last month, I mentioned In the Night Garden Live Tour, the top-selling children’s show is back by popular demand with a new 2012 tour. 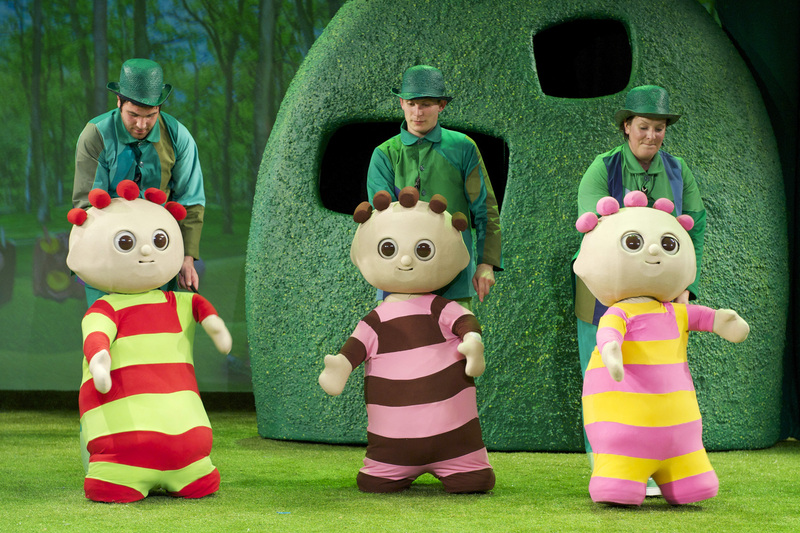 In the Night Garden, the award-winning CBeebies children’s TV show, is now on tour from 24th May to 22nd July and 18th August to 23rd September 2012. In the Night Garden Live takes place in its own all-weather, purpose-built inflatable show dome. On stage are full-sized costumes, enchanting music, magical puppets and spectacular panoramic projections, creating an immersive theatrical experience for children and grown-ups. The weather hasn’t been great lately, so I was glad we would be going to a closed place, great entertainment on a rainy day. While we were inside, we completely forgot about the rain and grey sky outside. There are two different shows to choose from and each one lasts just under an hour. 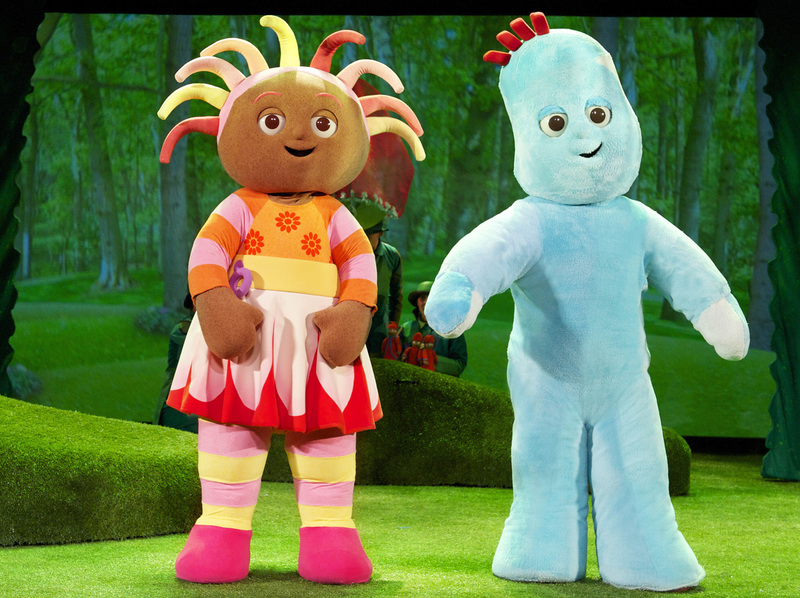 In the Ninky Nonk show, Igglepiggle loses his blanket and all his friends help him find it. 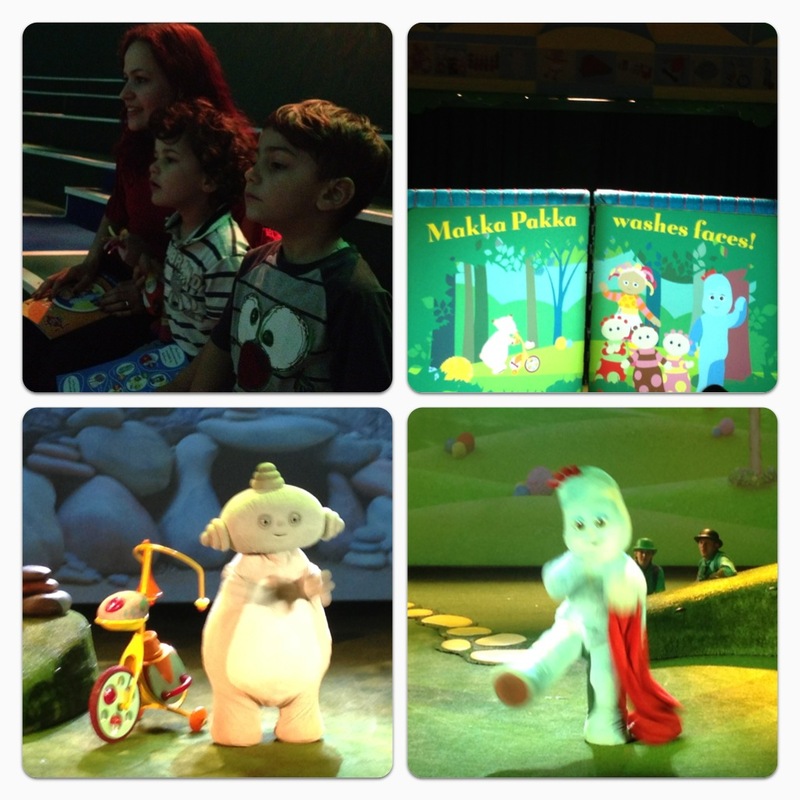 In the Pinky Ponk show, Makka Pakka washes everyone’s faces, until his sponge gets stuck in Upsy Daisy’s megaphone! We watched the Pinky Ponk show and it was fantastic. 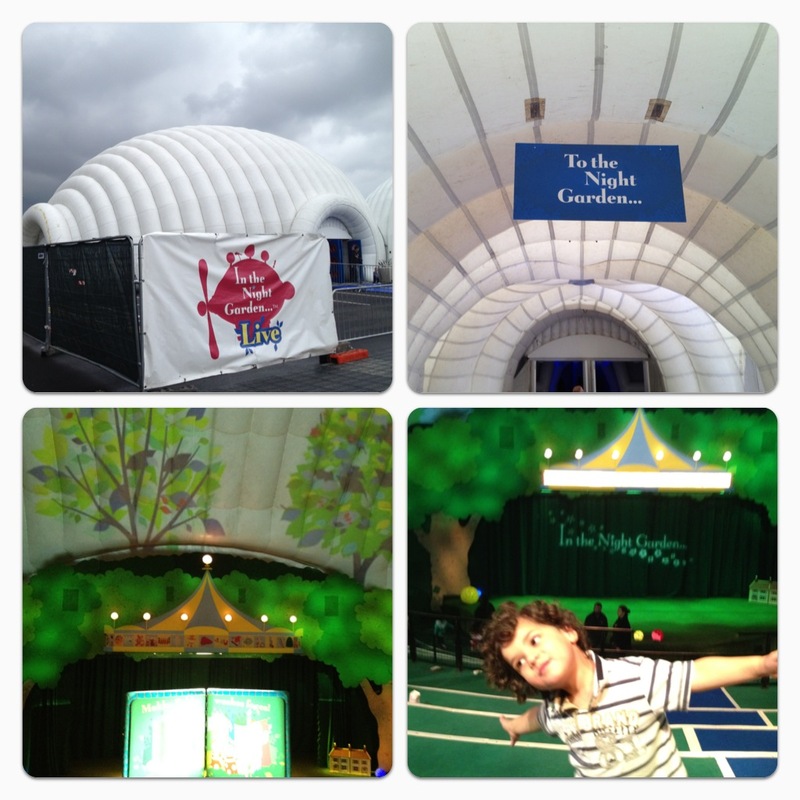 As soon as we arrived at Brent Cross, the kids were amazed by how big the show dome was, little man called it “giant bouncy castle”. Once we were inside, it felt like we were part of the kid’s TV programme. There were child-friendly seats with plenty of room for little ones to dance to their favourite songs. Not only it is a magical show for little ones, the event is also child-friendly and stress-free for parents with baby changing, bottle warming facilities, buggy parking and even toilet seat booster for kids. Little man was dancing and singing throughout the show, he was smiling the whole duration and absolutely loved it. It is very interactive, so you can hear the children talking back to the characters and waving. While Makka Pakka was washing everyone’s face, there were bubbles around the room and everyone loved how the show dome was full of bubbles. We were given a lovely Souvenir Activity Brochure (RRP £6.00) complimentary with each ticket. The little ones loved reading their special book on the way back home. 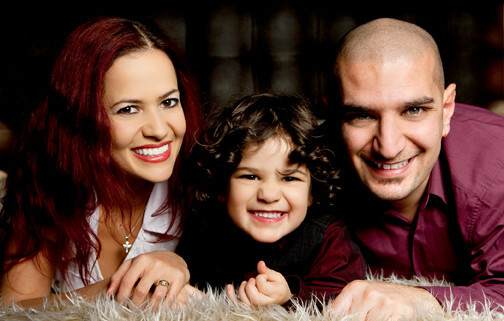 You also have the option of meeting the character for RRP £15.00 per family. There is also a large range of gorgeous souvenirs and lovely balloons available at the show dome. Overall, we had a magical experience, great production with full sizes costumes and magical puppets, children and grow-ups loved it. My only complaint is the lack of signs at Brent Cross so it was quite confusing finding where the show was, however we eventually found it and had a great time. 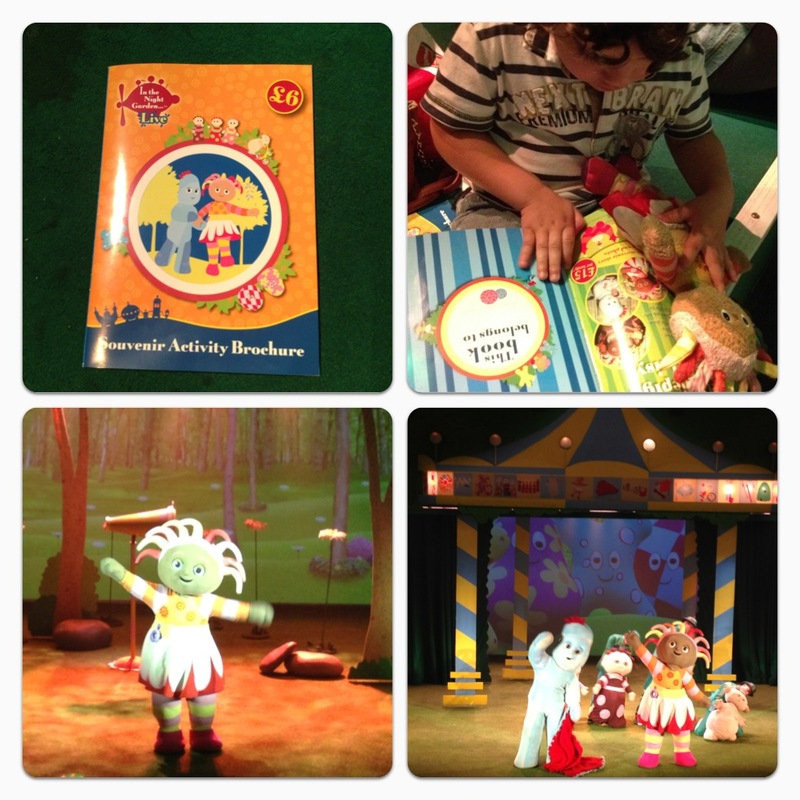 In the Night Garden Live Show is highly recommended for all those that love good music and great fun! 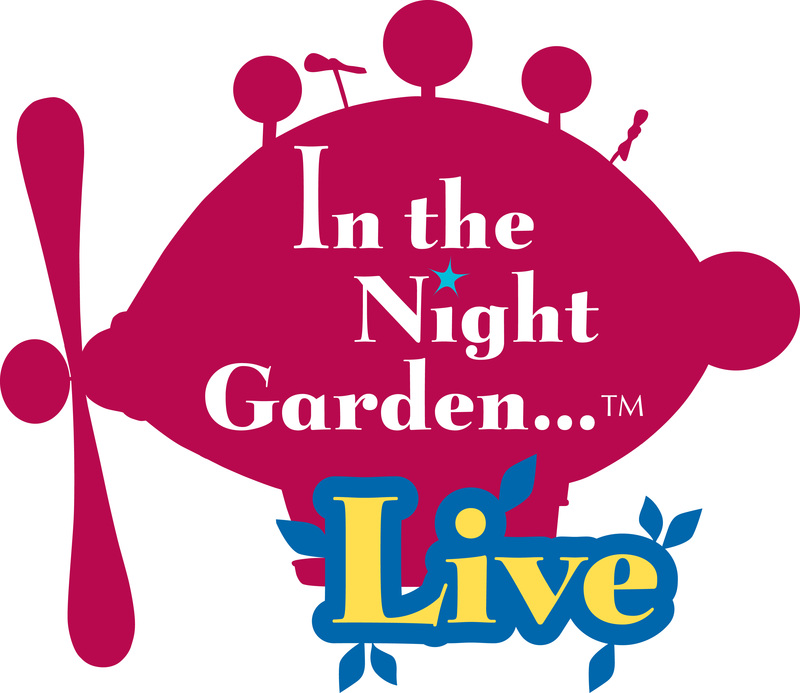 If you haven’t booked your tickets yet, there is still time to watch In the Night Garden Live. It will be in Brent Cross in London until 22nd July, at Trafford Centre in Manchester from 18th August to 2nd September and in Cannon Hill Park in Birmingham from 9th to 23rd September. I have noticed on their website that tickets are selling out quickly, so book early to avoid any disappointment. You can follow In the Night Garden on Twitter and In the Night Garden Live on Facebook. 13 Responses to "Review: In the Night Garden Live 2012 Pinky Ponk Show"
I’m taking my daughter to see the Pinky Ponk show this summer and I can’t wait to see her face when she sees the characters in real life. We’ve been playing the new In the Night Garden app which has a Makka Pakka face wash game she loves, so I know she’s going to adore the show!